The intimacy of reading is a major motif in European painting. 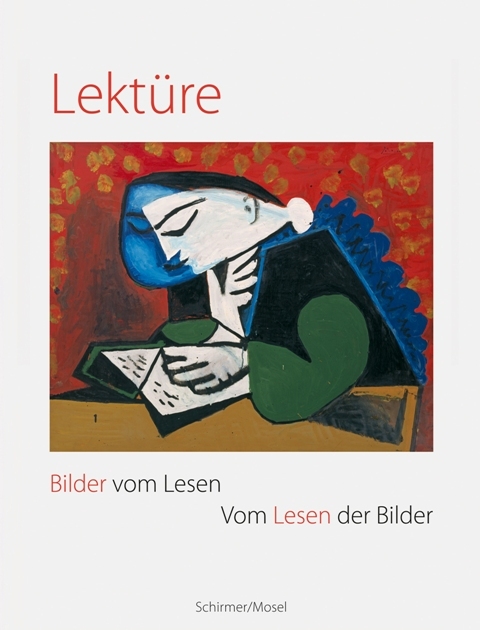 Pictures of Reading is the subject of this book, with an emphasis on 20th-century art; and, vice versa, The Reading of Pictures: works by artists such as Paul Klee, Cy Twombly, and Henri Michaux who made writing and the act of writing an essential part of their painting—a seminal and new concept for the art of the 20th century. Schirmer/Mosel. With an introductory text by Cathrin Klingsöhr-Leroy and texts by Marcel Proust, Rainer Maria Rilke, Jean-Paul Sartre, Kurt Tucholsky, Umberto Eco and others. 172 pages, 81 colour plates. Size: 24 x 27 cm, hardcover. German edition.